Waterfront Records runs under the umbrella of its parent company MGM Distribution Pty Ltd. If you are an artist or a label, your products may not yet be available to add to your store. Please contact your product manager at MGM Distribution for further information. Creating your first Waterfront store is a 3 step process. Sign up for your Waterfront account. 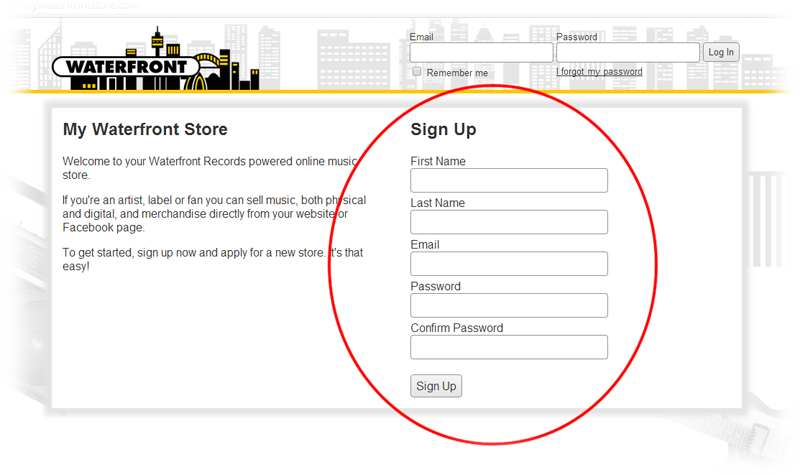 On the Waterfront store home page (https://mywaterfrontstore.com), enter your details and click the Sign Up button. We'll send you an email so you can confirm your email address and log in. 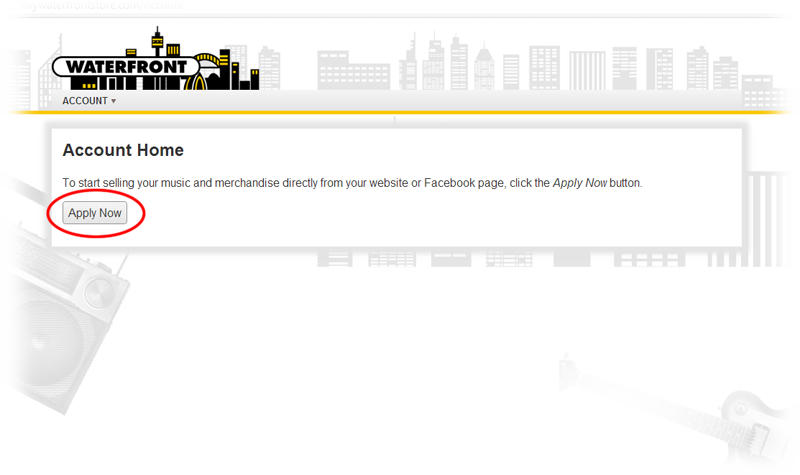 After logging in you will be redirected to your Waterfront account home page. 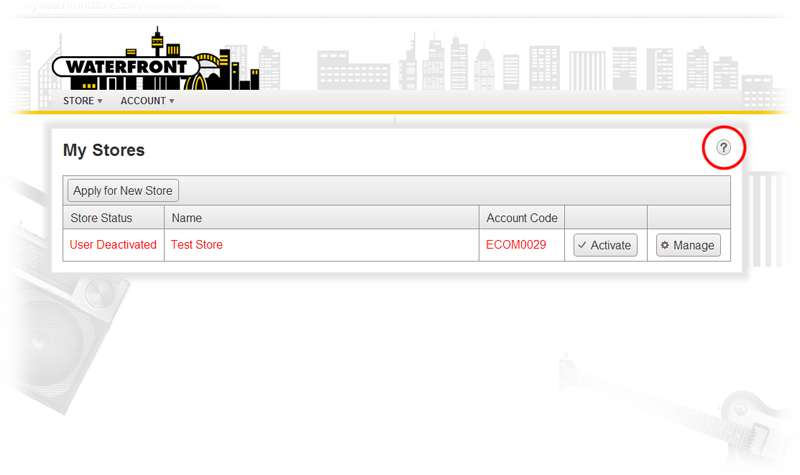 Click the Apply Now button to start the store application process. On the Waterfront store application page, enter your store's details and click the Apply button. We'll review your application and contact you if we require further details. Once your application is approved we'll send you an email. Follow the link in the email to your Waterfront stores page. You're now ready to start setting up your store. Online help is available by clicking on the help button. If you need further help, please contact us at info@waterfrontrecords.com.